Zc324-01. Freedom Café, the ex MacArthur Café was shut down by the New CFI, a great loss in my opinion. 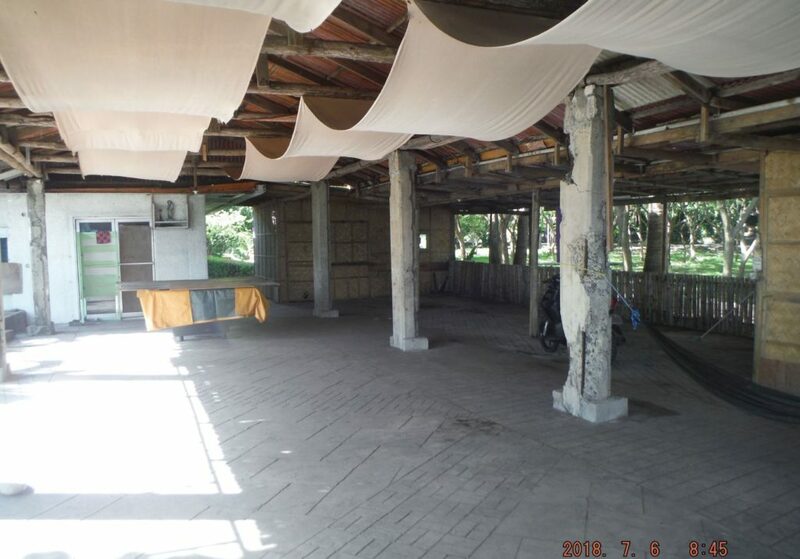 One of several albums of my visit to Corregidor Island, the ex Forth Mills. 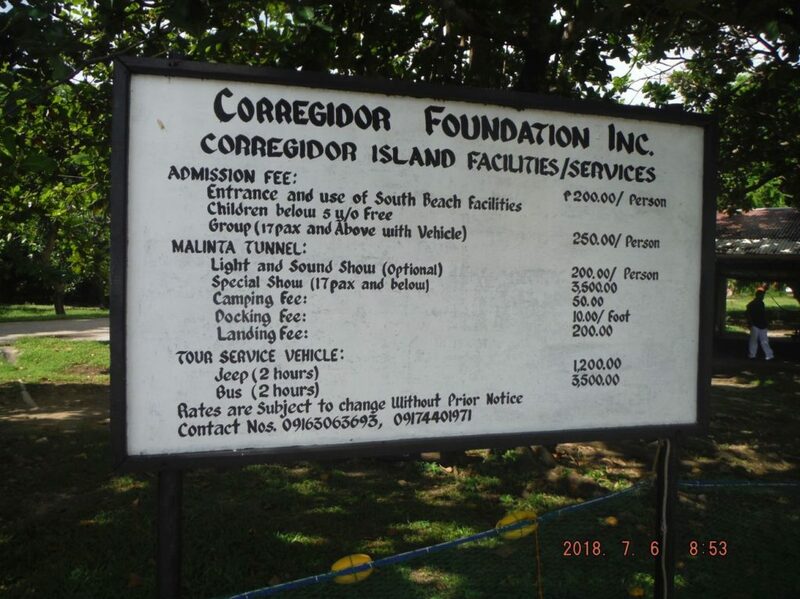 I visited Corregidor between the 6th and the 8th of July 2018. 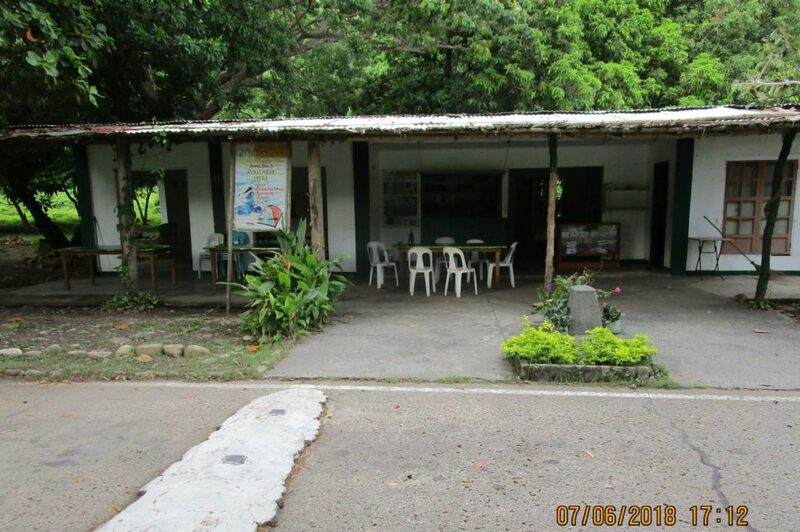 All these pictures are views of Bottomside on Corregidor. Zc325-02. Freedom Café, the ex MacArthur Café was shut down by the New CFI, a great loss in my opinion. 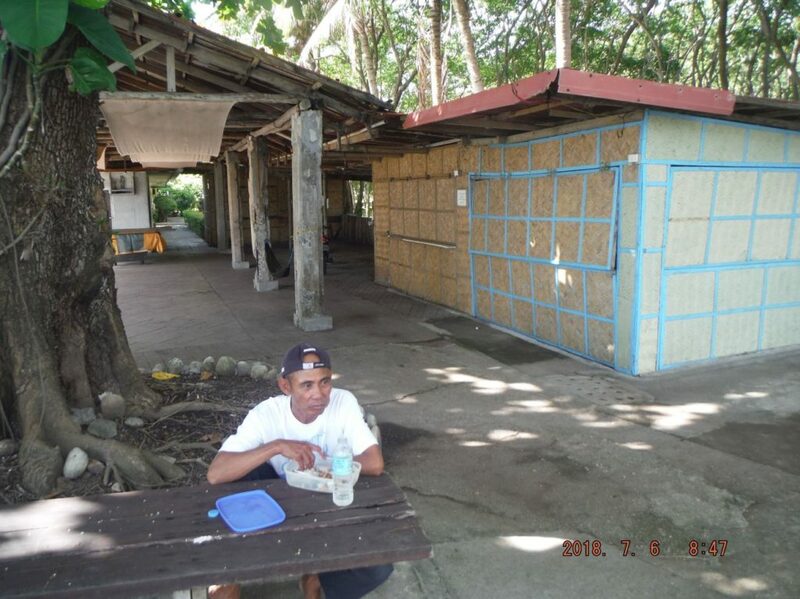 This man is an old hand on Corregidor; he is from Maragondon, Cavite, a historic Bonifacio place. Zc326-03. 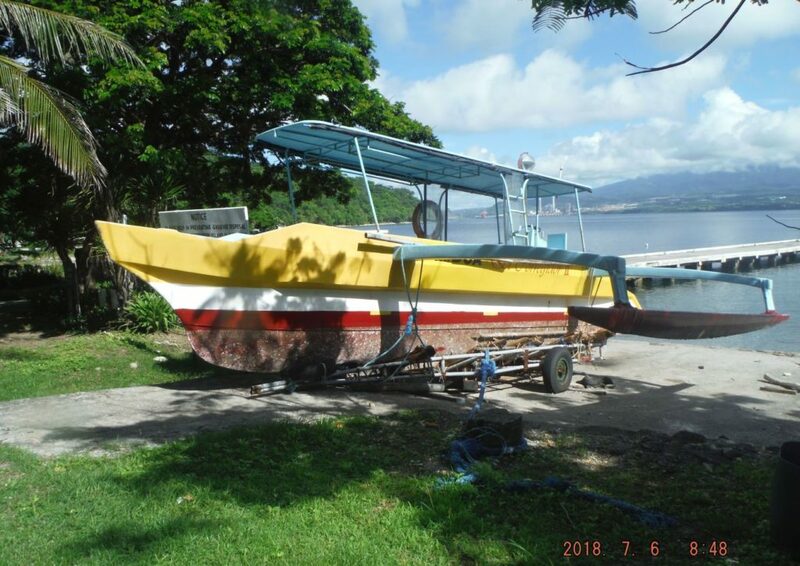 The last of the 3 boats belonging to Prime Square Ent. 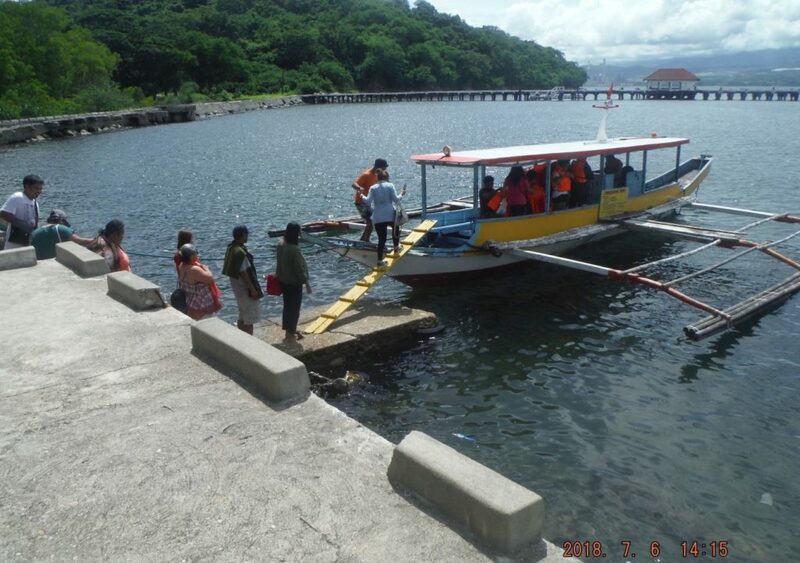 (PSE), they operated boat service to and from Corregidor. 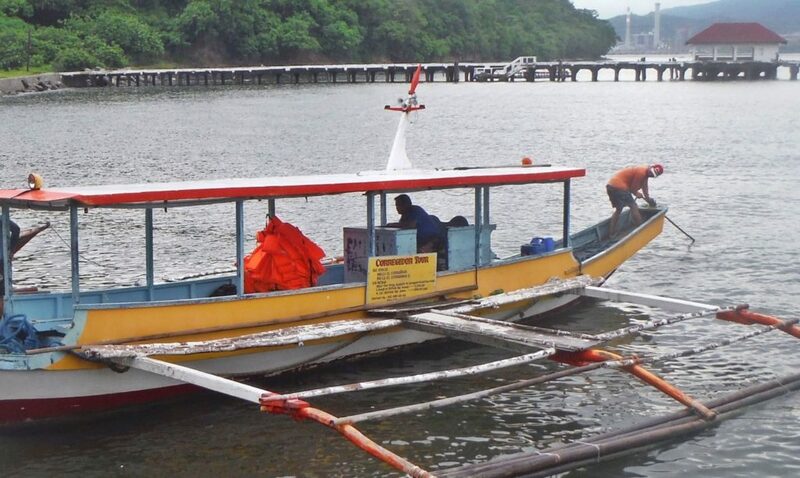 Under the New CFI they moved to Bataan in 2018 and increased their boat fee to 4000 peso. Zc327-04. 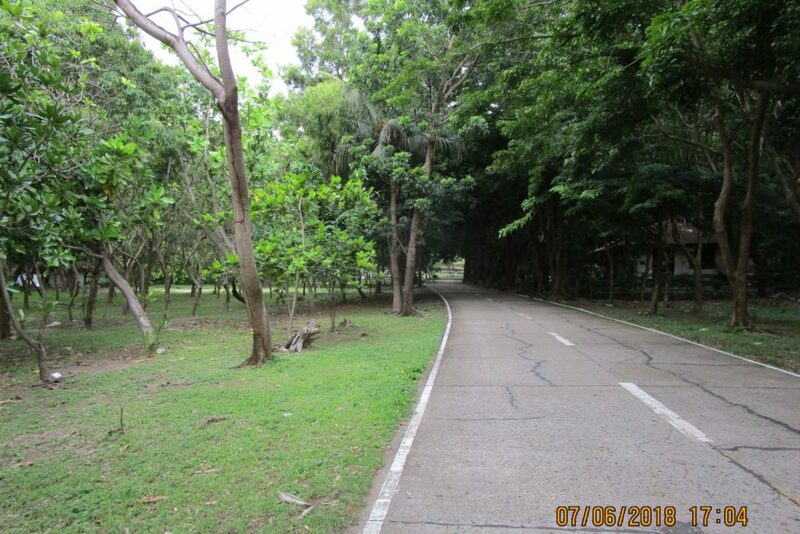 This is the greenery in front of the Corregidor Admin Building, 2018 Bottomside-April-06 on Corregidor. Zc328-05. 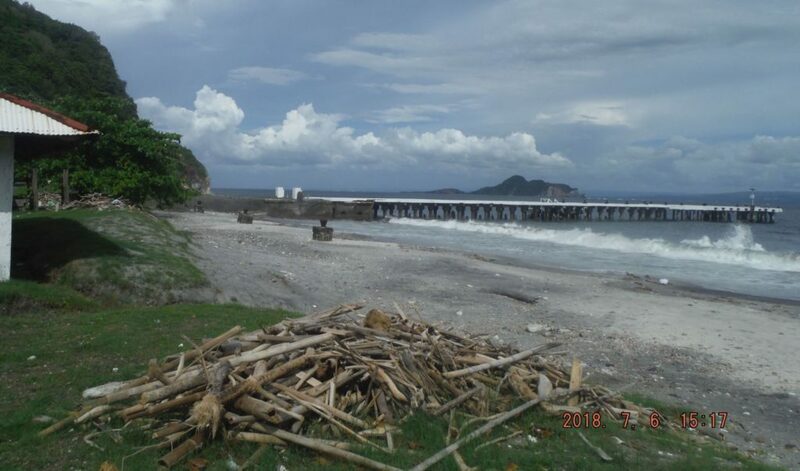 There is no trash on the north shore, Bottomside, Corregidor Island, the ex Fort Mills because it is the SW Monsoon Season. It has driven all the trash away from this shoreline!!!!! Zc329-06. 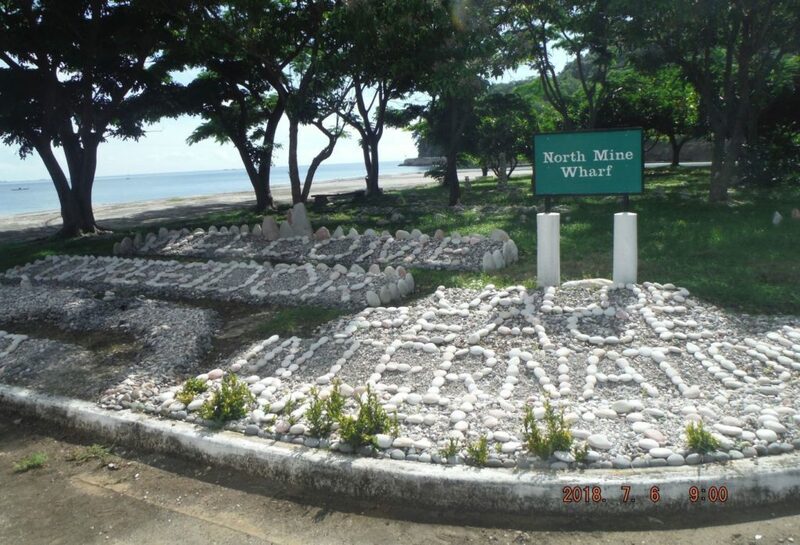 This sign on the Corregidor North Shore, Bottomside is not correct anymore; the jeepney price rose to 2000 peso. If you need a guide, that will be another 1000 peso. Zc330-07. 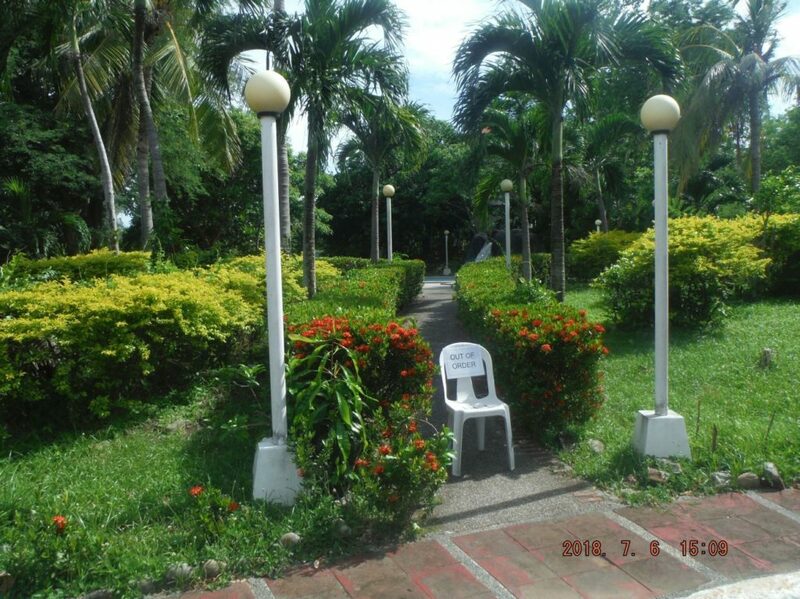 This is the greenery in front of the Corregidor Admin Building, 2018 Bottomside-April-06 on Corregidor. Zc331-08. 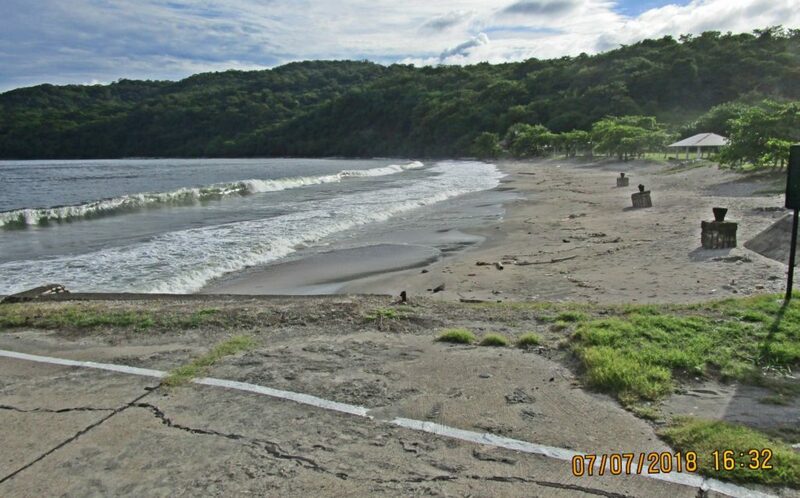 There is no trash on the north shore, Bottomside, Corregidor Island, the ex Fort Mills because it is the SW Monsoon Season. It has driven all the trash away from this shoreline!!!!! 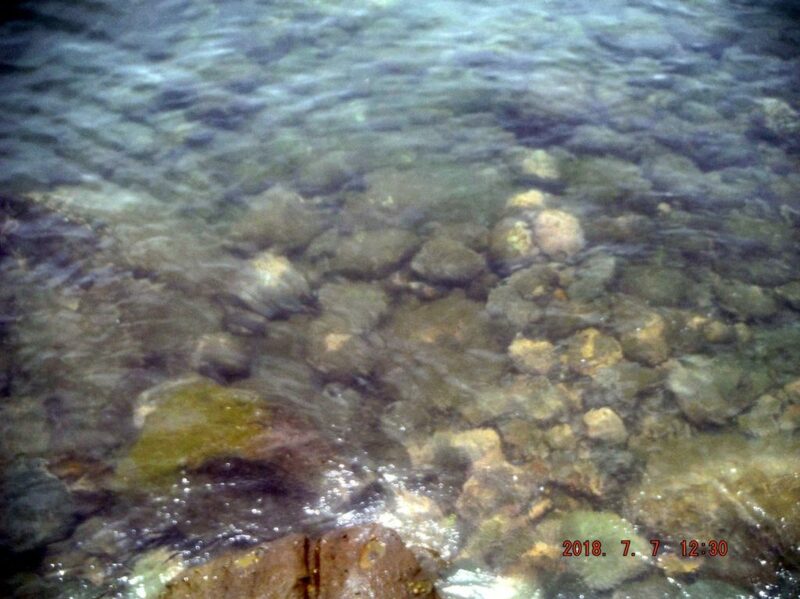 I did not detect trash under the water either! Zc332-09. The Rock garden that Mr. Edwards built on his own time is still intact. 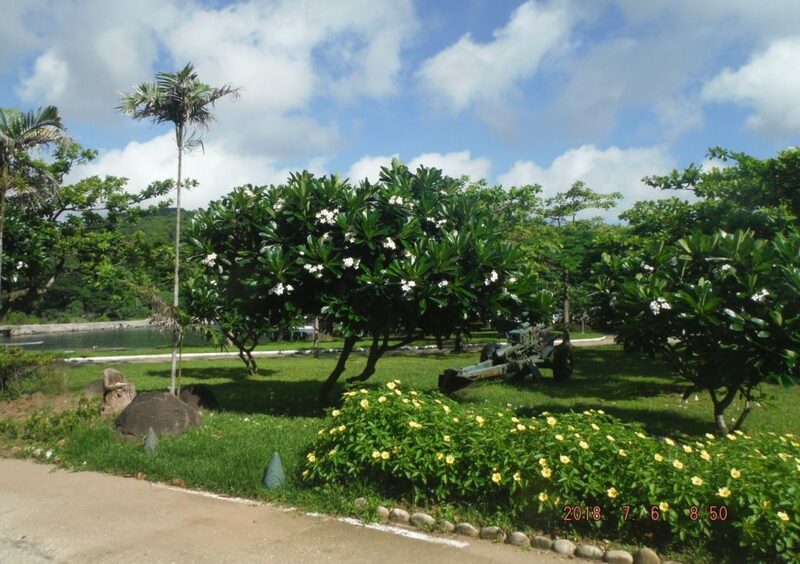 Mr. Edwards is the tourist event organizer in the Corregidor Inn; he is also an old hand on Corregidor. Zc333-10. The Rock garden that Mr. Edwards built on his own time is still intact. 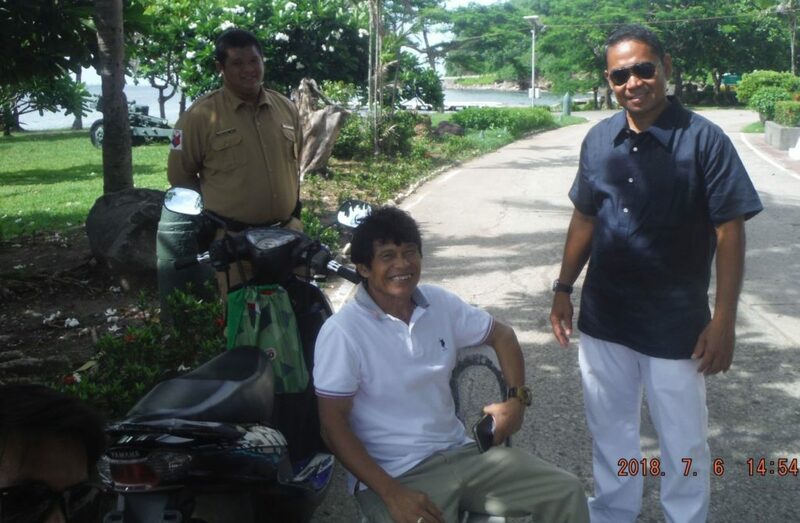 Mr. Edwards is the tourist event organizer in the Corregidor Inn; he is also an old hand on Corregidor. 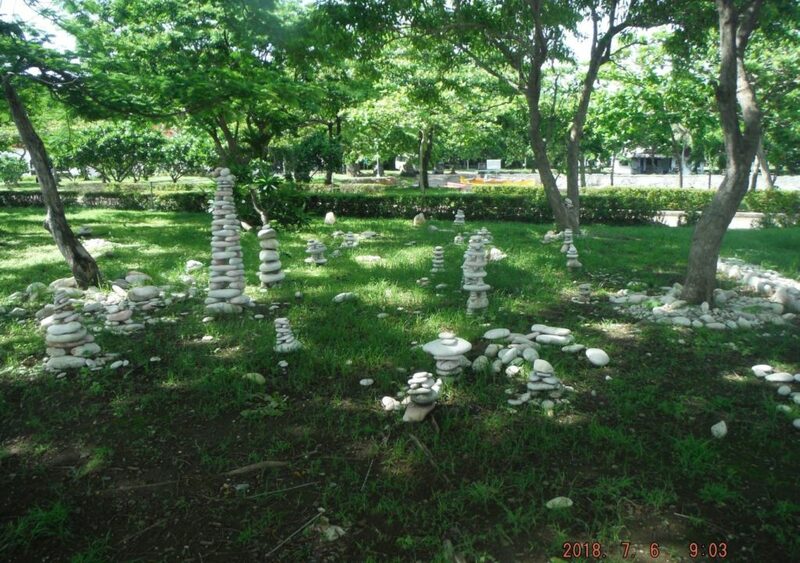 Everything is greener in the rainy season. Zc334-12. 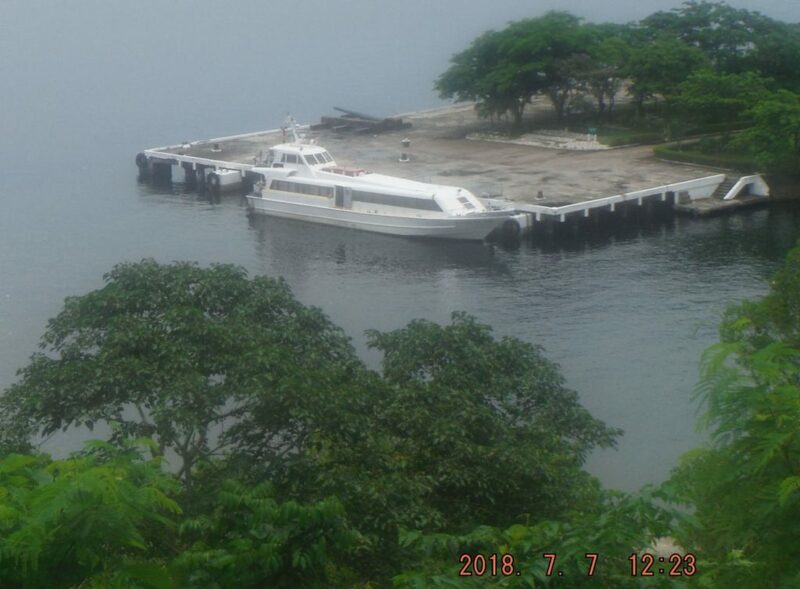 The single hull ferry boat of the Sun Cruises Inc. is arriving, pretty much on time, it was 0930 hours. It carries 100 passengers only. During the rainy season from June to Sep., it only runs from Thursday to Sunday. Zc335-13. This view attracted me; it almost looks like tunnel under the line of trees along the road to the south side, towards the trolley bridge. Zc336-14. The restaurant on the south side of Bottomside on Corregidor is still operating, I had a medium size pancit bihon meal for 160 peso, it was a big plate and it was good. Zc337-17. 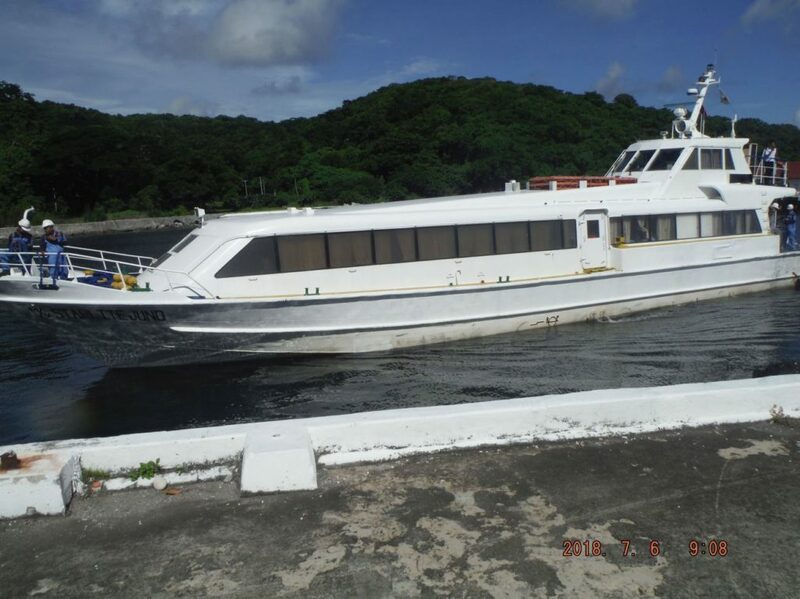 The single hull ferry boat of the Sun Cruises Inc. is getting closer, it carries 100 passengers only. During the rainy season from June to Sep., it only runs from Thursday to Sunday. Zc338-19. The single hull ferry boat of the Sun Cruises Inc. is getting closer; it is called M/V Starlite Juno. Notice that the coal fired power plant in Mariveles, Bataan is expanding, and they have two stacks (chimney) now. Zc339-20. The single hull ferry boat of the Sun Cruises Inc. is making its final approach; it is called M/V Starlite Juno. Zc340-21. 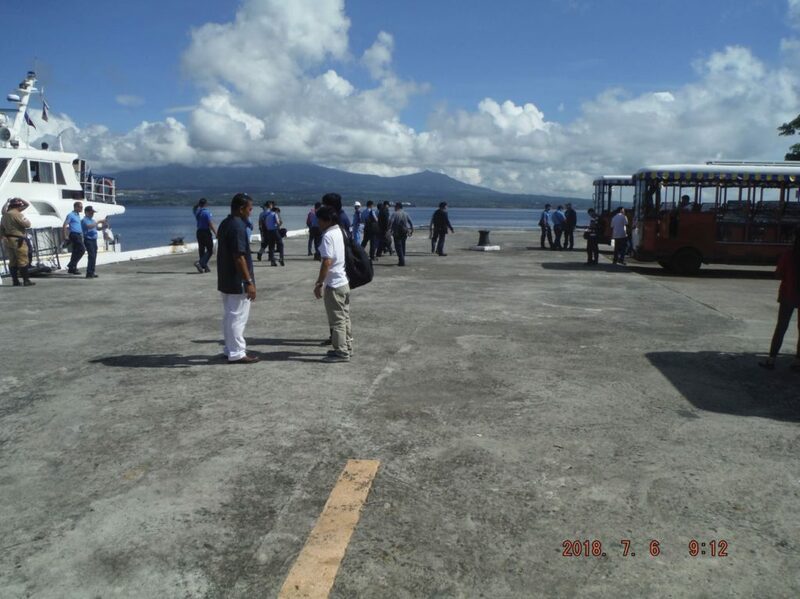 The single hull ferry boat of the Sun Cruises Inc. M/V Starlite Juno is discharging its passengers. 4 trolleys handle the 100 passenger capacity of the boat. A group of National Police Academy Officers took the tour today. Zc341-22. 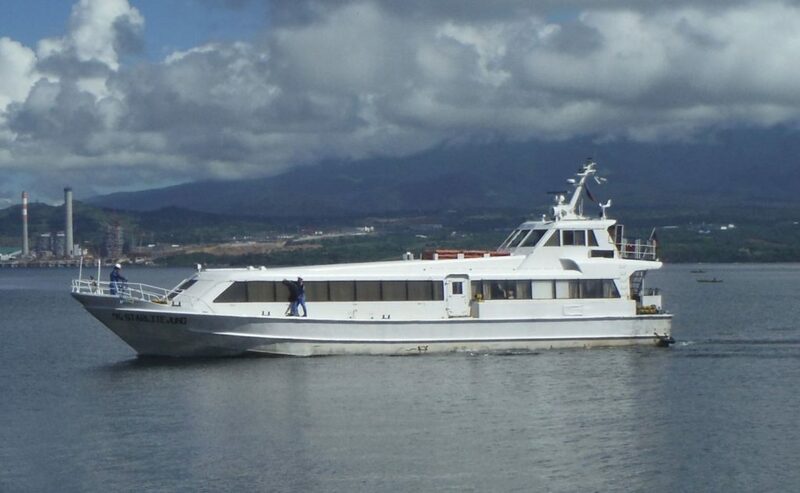 The single hull ferry boat of the Sun Cruises Inc. M/V Starlite Juno is discharging its passengers. 4 trolleys handle the 100 passenger capacity of the boat. I focused this shot on Mr. Wilfredo Labrador, the Boss of PSE. Zc342-24. The smallest of the 3 boats from Prime Square Ent. (PSE) that is the boat I used to get here. Later during the day it brought another group of visitors. Zc343-25. The single hull ferry boat of the Sun Cruises Inc. M/V Starlite Juno shot of its stern. Zc344-26. 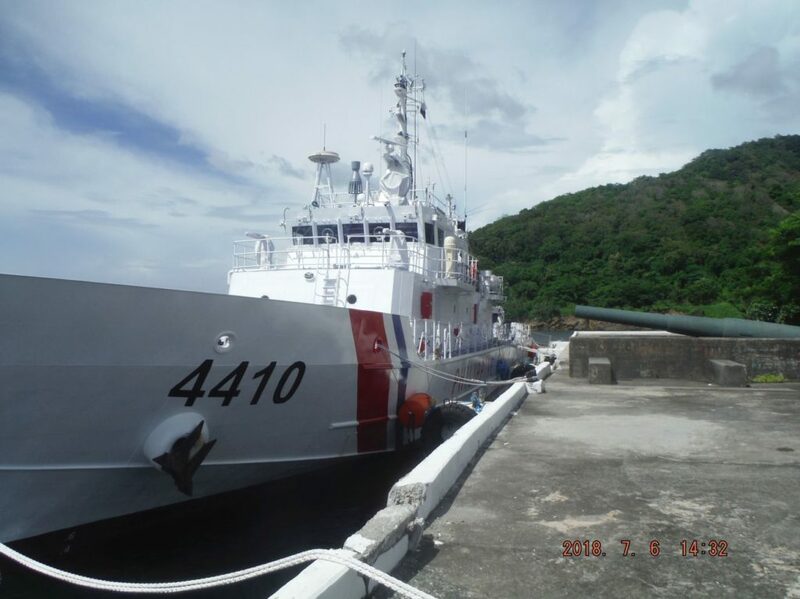 A large Philippine Coast Guard boat arrived, it was dependants cruise, they had a picnic on the south side of Bottomside, Corregidor Island. Zc345-27. The Rock garden that Mr. Edwards built on his own time is still intact. 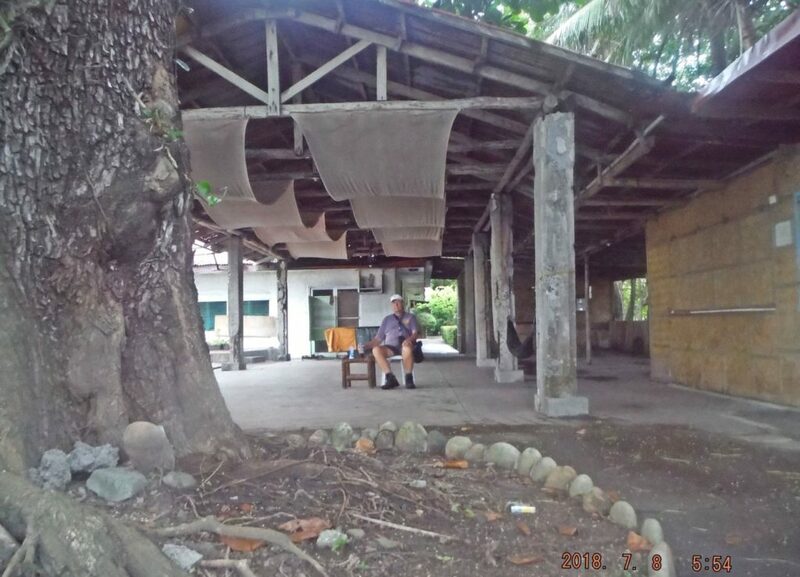 Mr. Edwards is the tourist event organizer in the Corregidor Inn; he is also an old hand on Corregidor. 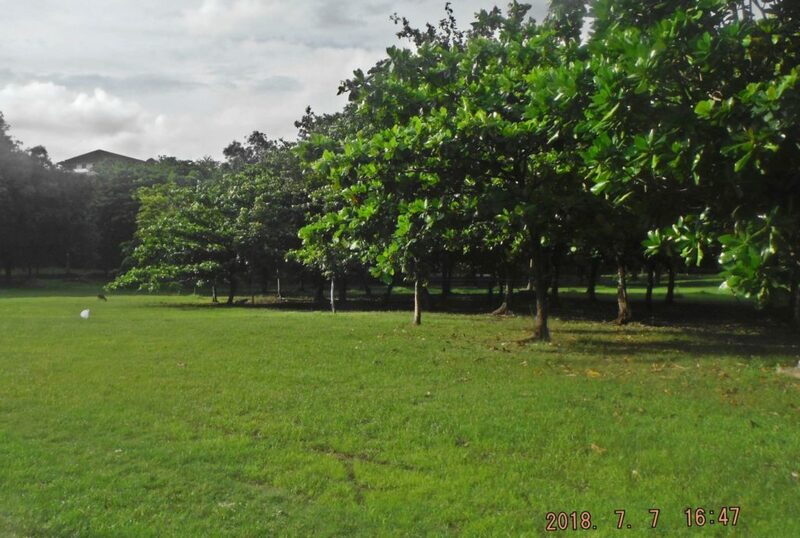 Everything is greener in the rainy season. Zc346-28. 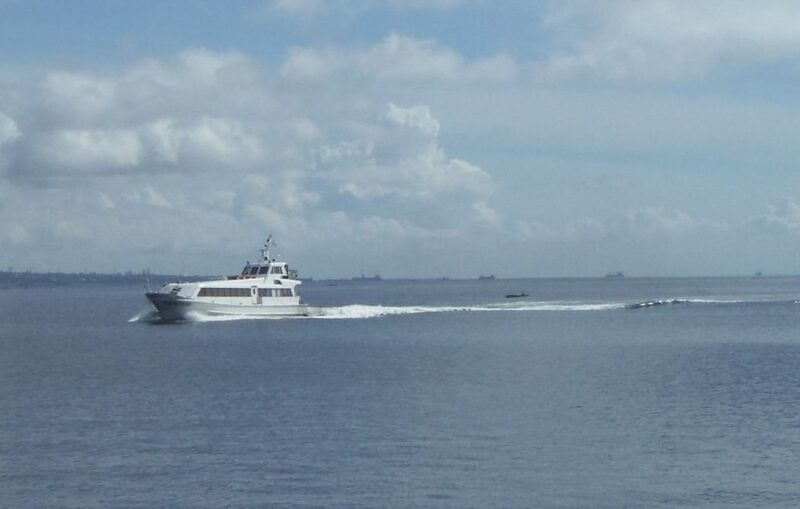 A large Philippine Coast Guard boat arrived, it was dependants cruise, they had a picnic on the south side of Bottomside, Corregidor Island. Zc347-29. A view towards the shore going to Malinta Point on Bottomside on Corregidor and across Lorcha Dock where Gen. MacArthur departed from in 1942. Zc348-30. 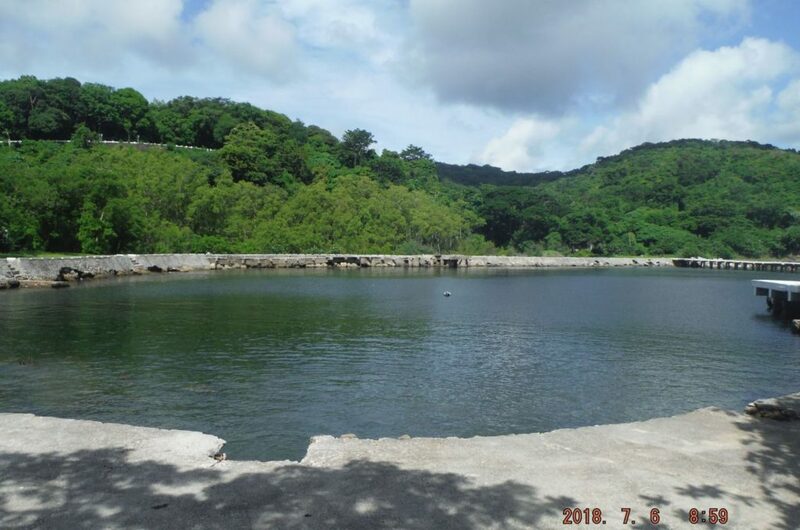 A view towards the shore going to Malinta Point on Bottomside on Corregidor and across Lorcha Dock where Gen. MacArthur departed from in 1942. I only now had a closer look at the steep cliffs there. Zc349-32. The Boss of Prime Square Ent. (PSE) arrived today; right is a CFI staffer and left is the security guard on duty at the north shore water front, the preferred boat landing area. Zc350-33. 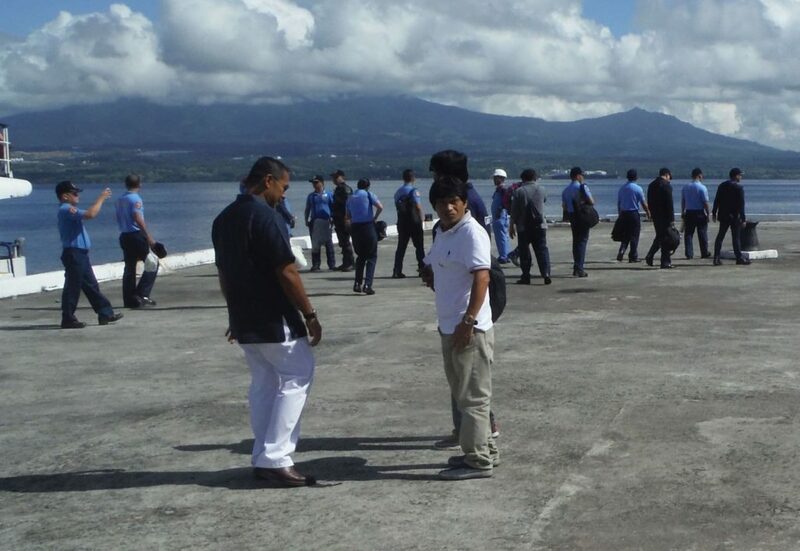 Another CFI Staffer, under the New CFI management only one on-island staffer (person) is gone-Mr. Ron Benadero. So the people now are almost 100 % all the people one is familiar with if one is a frequent visitor. Zc351-34. 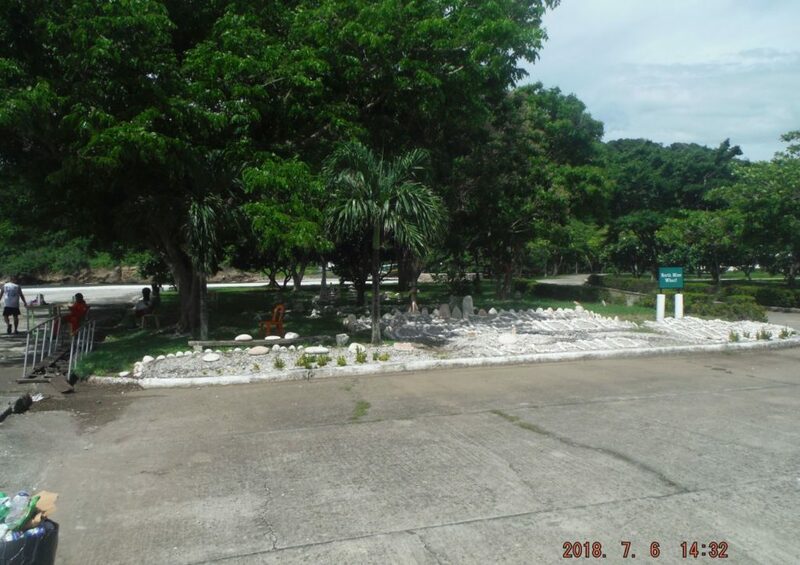 The Corregidor Inn swimming pool is filled with clean water but it is not open for use, rumor has it that some bureaucratic hang-up is the cause? Zc352-35. 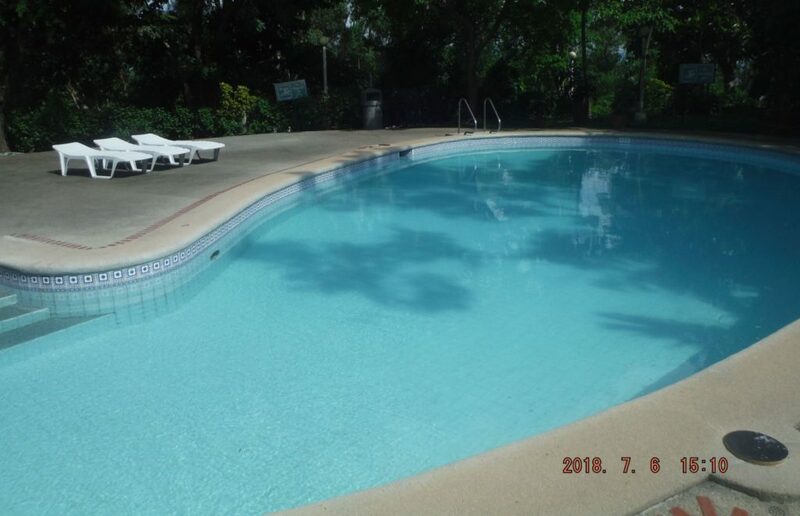 The Corregidor Inn swimming pool is filled with clean water but it is not open for use, rumor has it that some bureaucratic hang-up is the cause? Zc353-37. 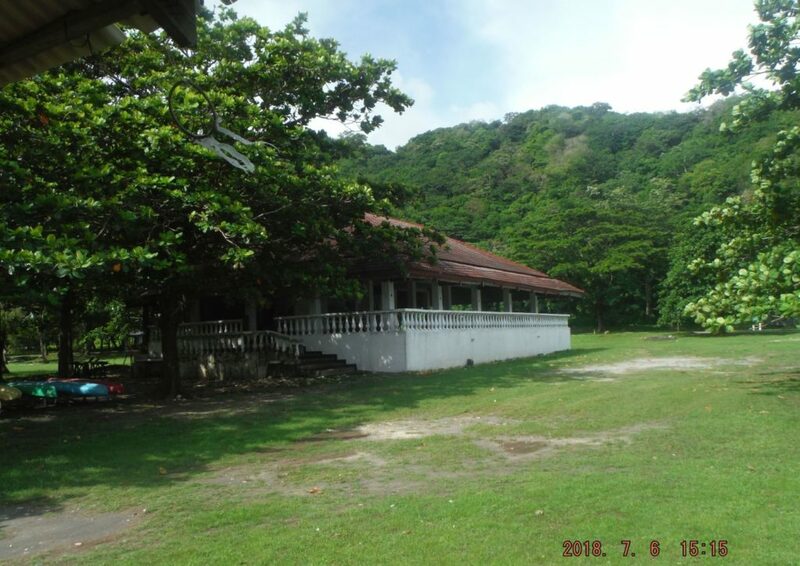 A view of Malinta Hill on Corregidor from the south shore of Bottomside, that building was last under the control of Sun Cruises Inc. But I don’t know the present status, it is not being used. Zc354-38. 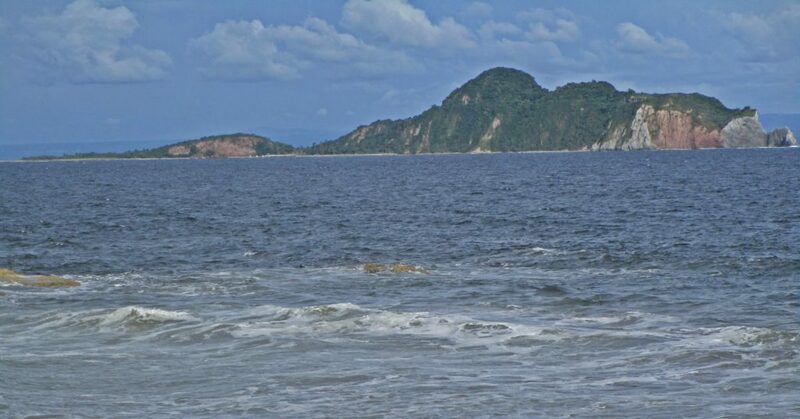 The south shore of Bottomside on Corregidor and the Cavite province is in back. The beach is clean! Zc355-41. 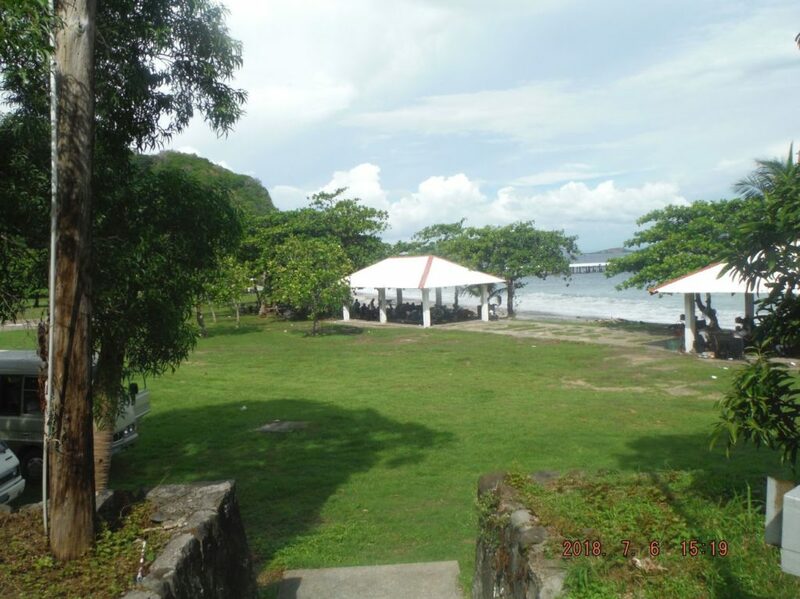 The south shore of Bottomside on Corregidor, the crew of the large Coast Guard boat with their dependants had a picnic here. I met one young Ens. (Officer) who graduated from the U.S. Coast Guard academy! Zc356-42. 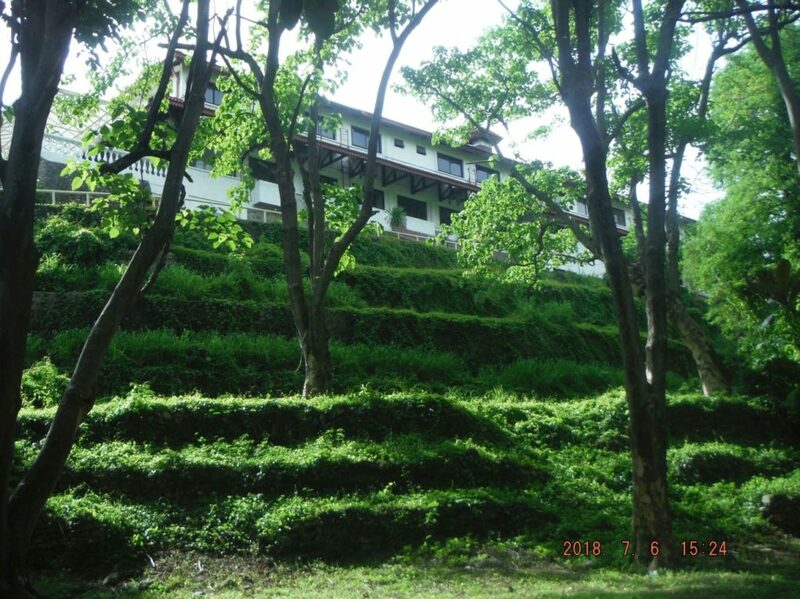 A view of the Corregidor Inn rear (backside), wow, the greenery, the greenery! Zc357-44. 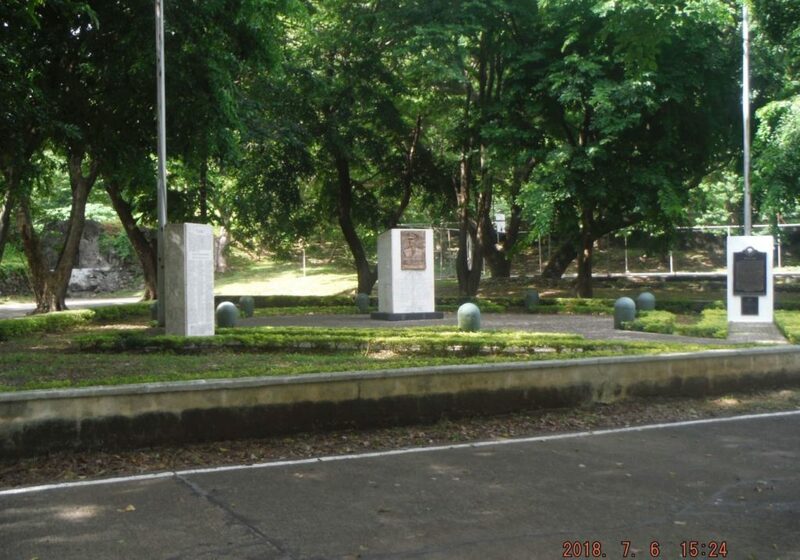 The Gen. Wainwright and Nurses Memorial on Corregidor Island, the former Fort Mills of the Manila,-Subic Bays Harbor Defense Command looked in good shape. Zc358-45. 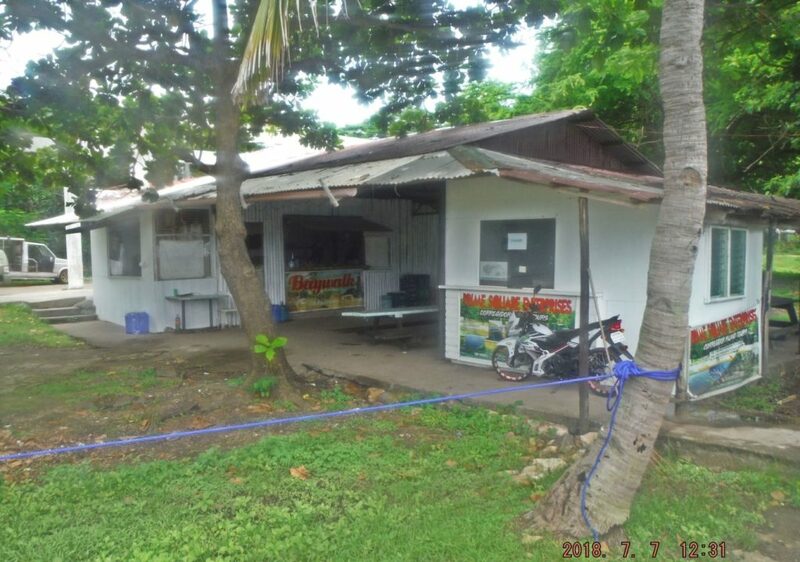 This is the Coast Guard area east, next to the now closed Freedom Cafe, ex MacArthur Café; it seems they received a vehicle. I hope they also have a boat. The Excalibur gun insertion tube is still there in front of the Coast Guard Station. Zc359-46. 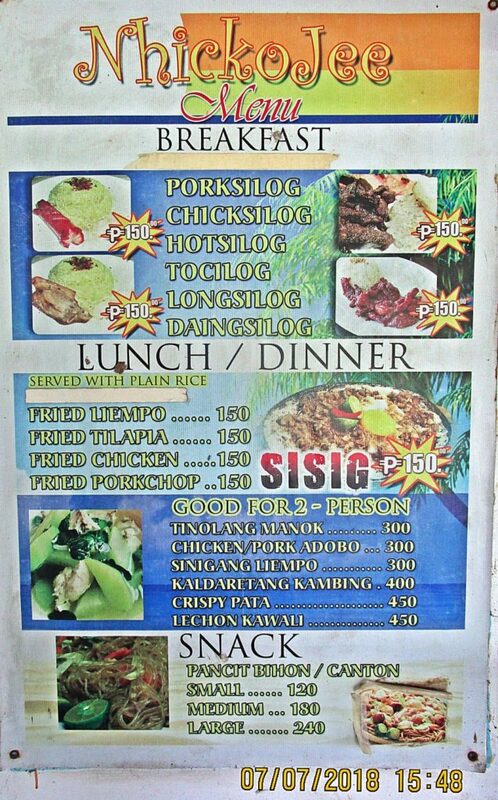 This is the menu of the watering hole on the south side at Bottomside on Corregidor. I had one good meal there of Pancit Bihon. Zc360-47. 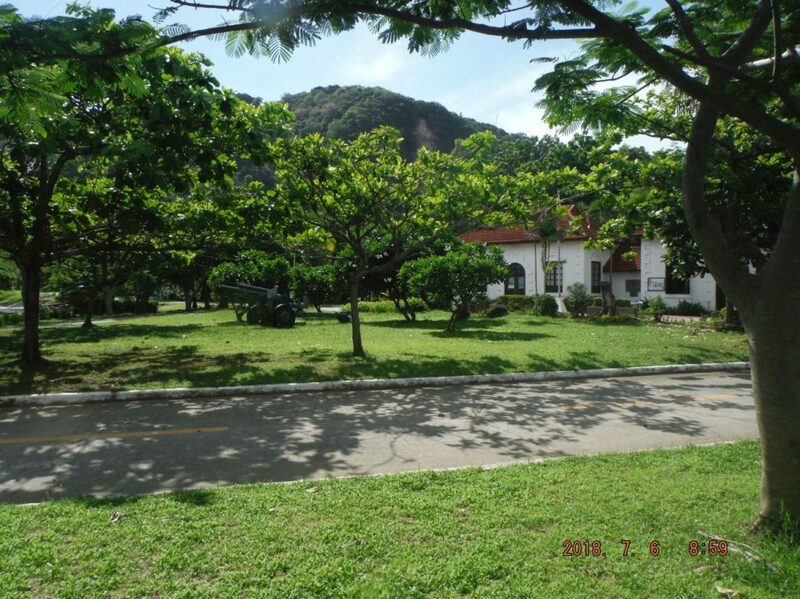 Caballo Island, the former Fort Hughes with the 14 Inch, always makes a great view from Corregidor. Somewhere there was the silver dumped in 1942. Zc361-48. 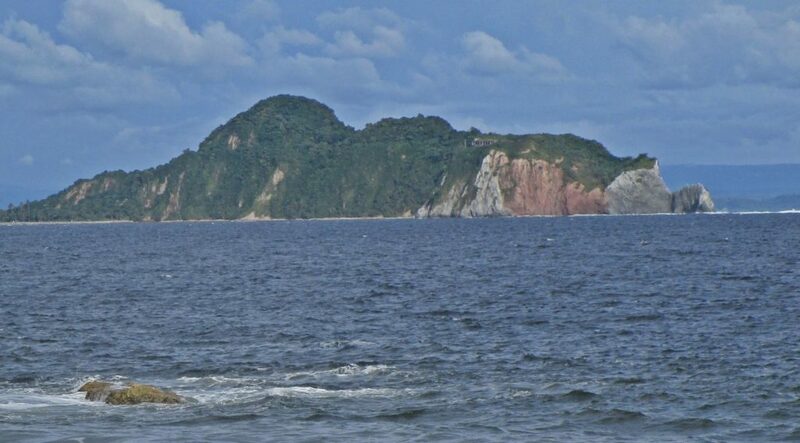 Caballo Island, the former Fort Hughes with the 14 Inch, always makes a great view from Corregidor. Somewhere there was the silver dumped in 1942. Zc362-49. 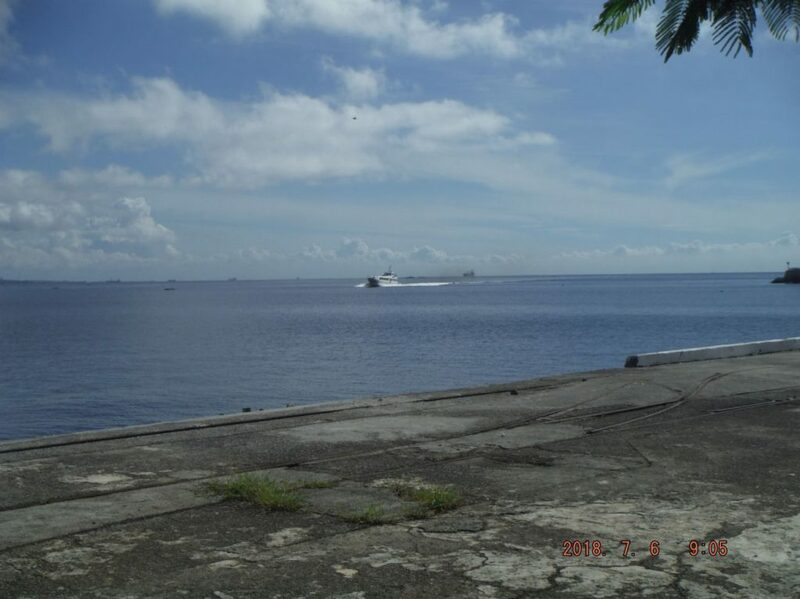 The Cavite view from Corregidor, the small vessel at left is just even with Fraile Island, the present Concrete Battle Ship and the former Fort Drum. Zc363-51. 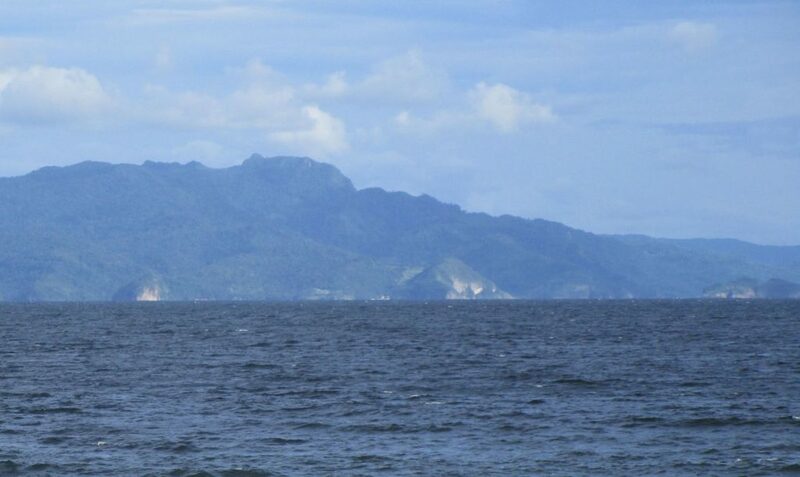 The Cavite view from Corregidor, all the way to the right is Carabao Island, the former Fort Frank. 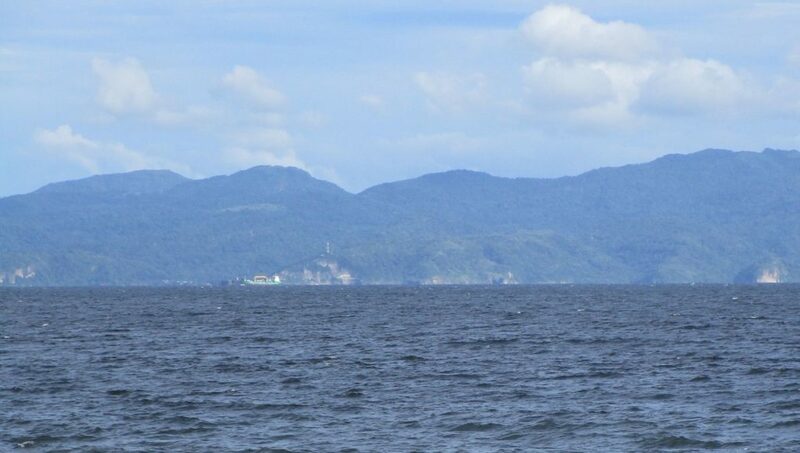 Between the two prominent points is the Philippine Ternate Marine Base. Zc364-52. 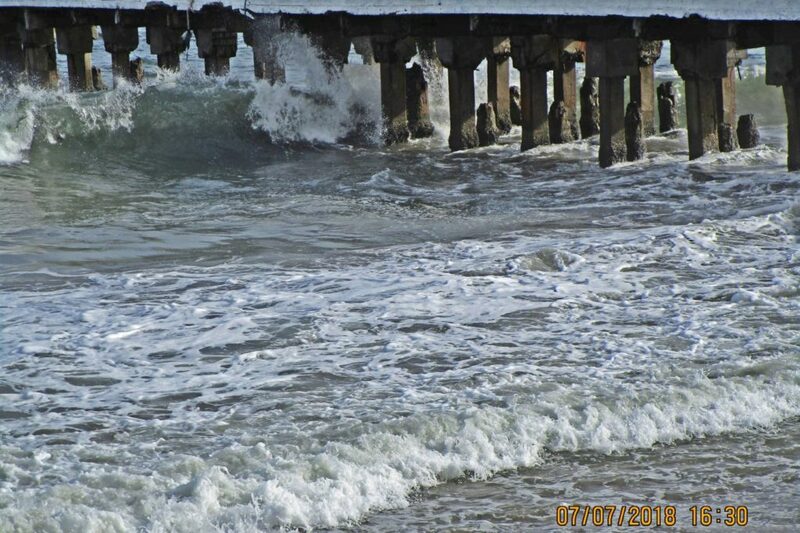 The south dock, Bottomside-Corregidor, south-west Monsoon swells are rolling in under the dock. Zc365-54. 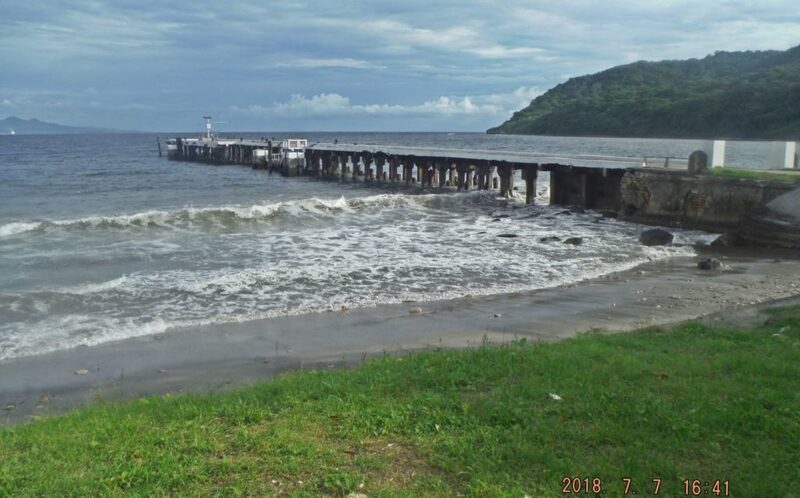 The south dock, Bottomside-Corregidor, south-west Monsoon swells are rolling in under the dock. Zc366-55. The south beach, Bottomside-Corregidor, south-west Monsoon swells are rolling in. Zc367-56. 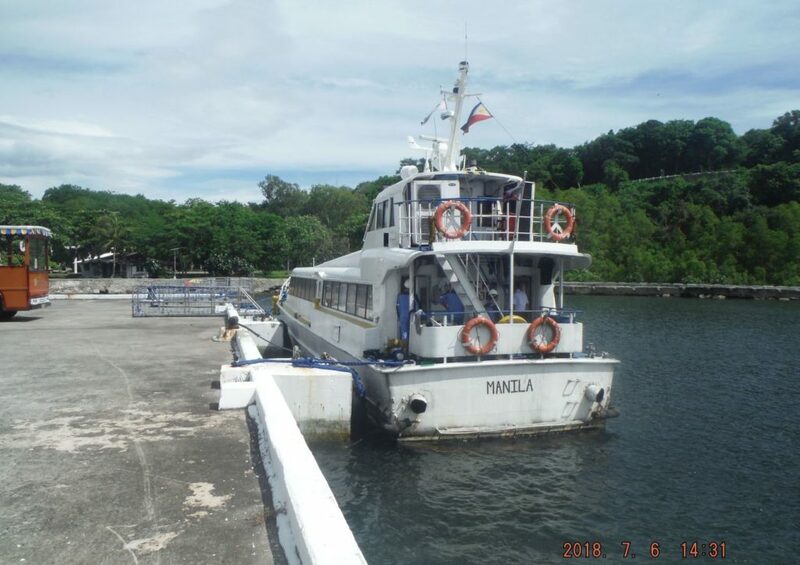 The one hull Starlight Juno ferry boat of Sun Cruises Inc. at the North Dock, Bottomside on Corregidor Island, the former Fort Mills. Zc368-58. 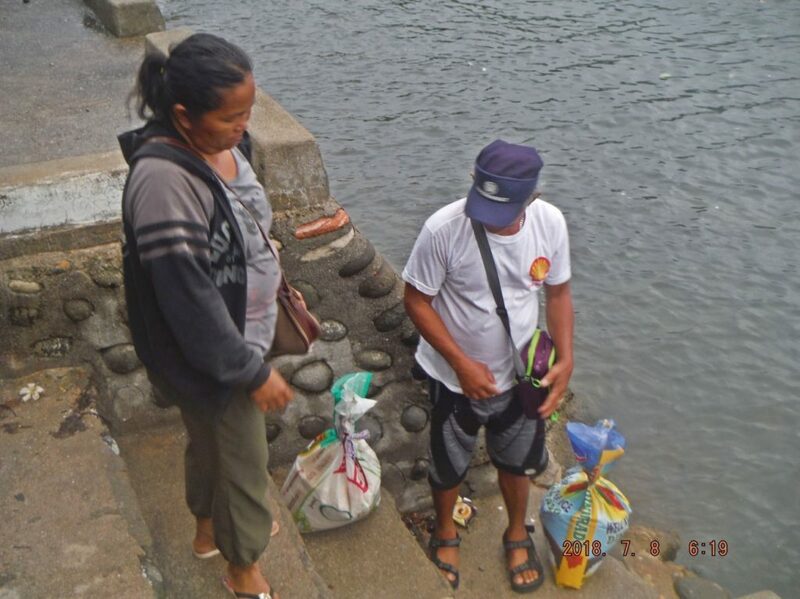 There is no trash, not even under the water at the north shoreline, the boat landing area, near the North Dock, Bottomside on Corregidor Island because of the prevailing SW Monsoon winds at this time of the year. Zc369-59. 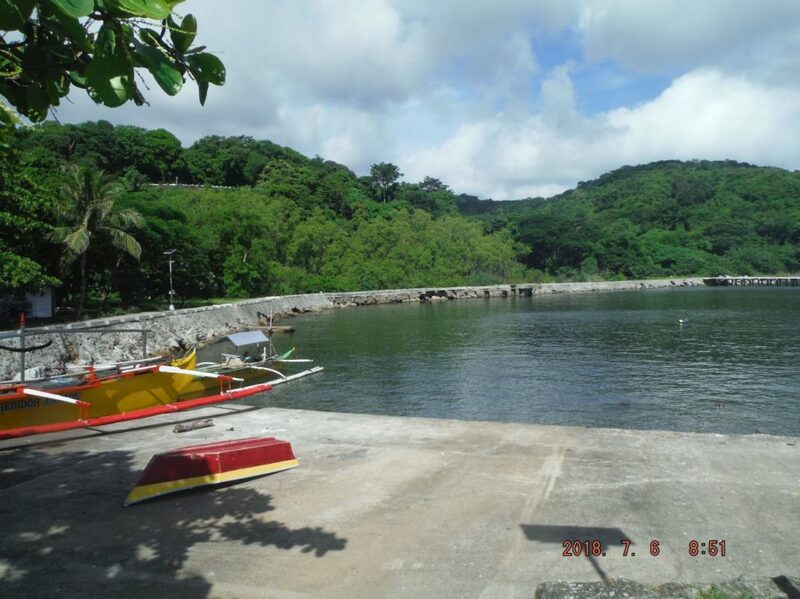 The Baywalk watering hole at the north shoreline, the boat landing area, near the North Dock, Bottomside on Corregidor Island. One can get a soup or a meal out of the can with some rice here. Zc370-60. 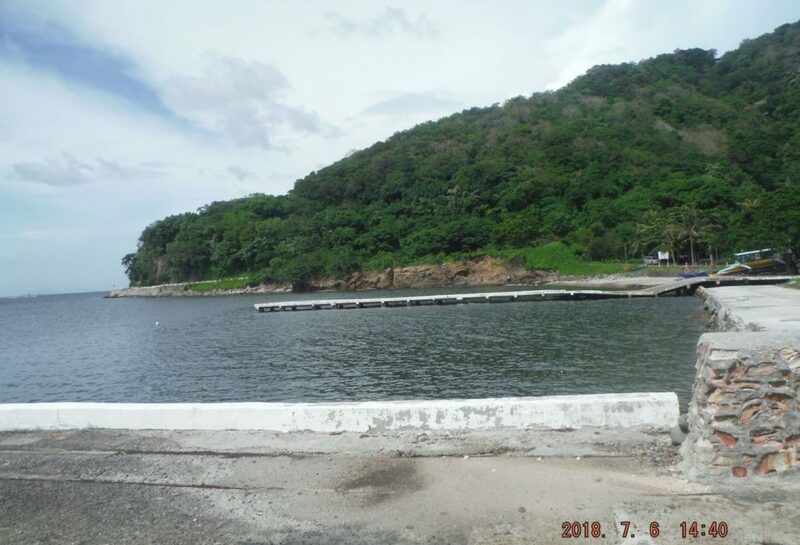 The Baywalk watering hole at the north shoreline, the boat landing area, near the North Dock, Bottomside on Corregidor Island. The person is one of about 6 CFI employees on the island and she wears the uniform shirt. Zc371-61. 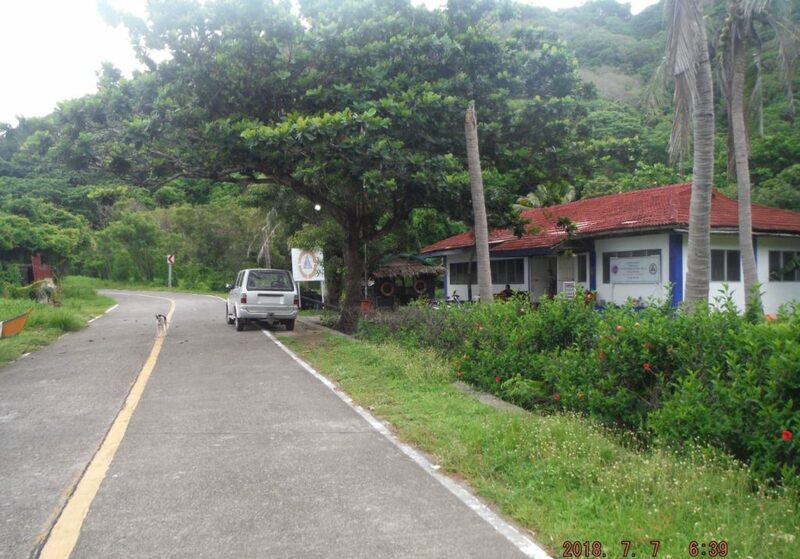 The trees at Bottomside, Corregidor Island, sure have grown; in back is the Corregidor Inn on top of Skipper Hill. The Zip Line has disappeared in the crown of the trees. Zc372-62. The Freedom Café, the former MacArthur Café was shut down by the new CFI management, which also took over the overnight rental units. I rented one of those former Freedom Café rooms from the new CFI Administration. During my stay all three budget watering holes were not available or shut down after 9pm. Zc373-64. 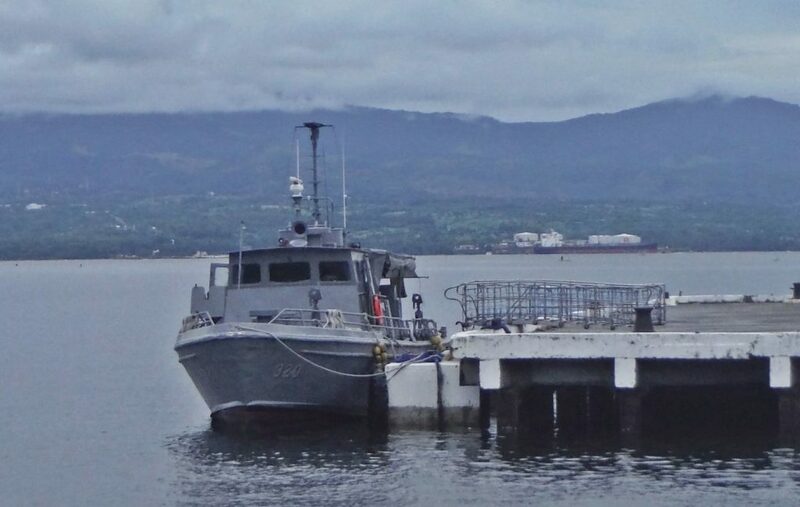 During the night a Navy patrol boat came in and moored at the North Dock, Bottomside on Corregidor. Zc374-66. 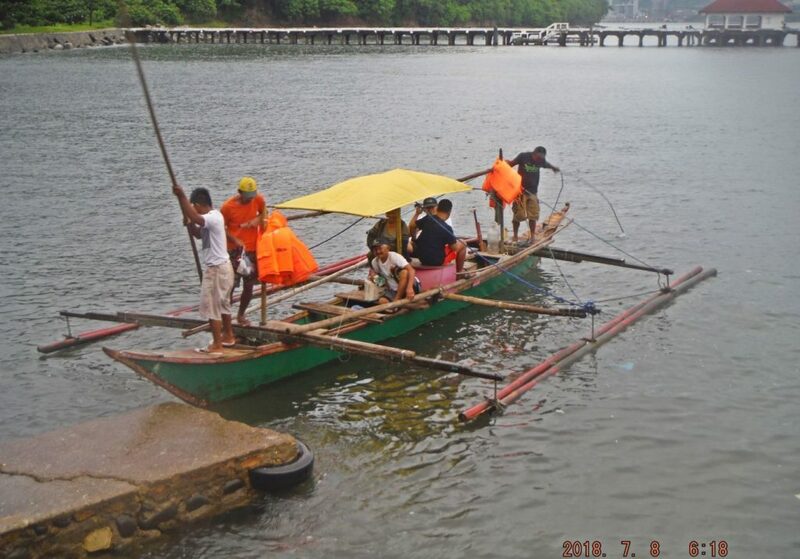 The life saving supply boat was the first boat in the morning of the 8th of July 2018 and moored at the North Dock, Bottomside on Corregidor. The boat coxswain is Minard (not sure about the spelling) who has done this service for years. Zc375-67. The boat coxswain is Minard (not sure about the spelling) is collecting his fee for his supply and transportation service to Corregidor from Cabcaben in Bataan. Zc376-68. That is the 3rd boat of Prime Square Ent. (PSE), it just came from the MAAP Pier on Bataan to pick me up. 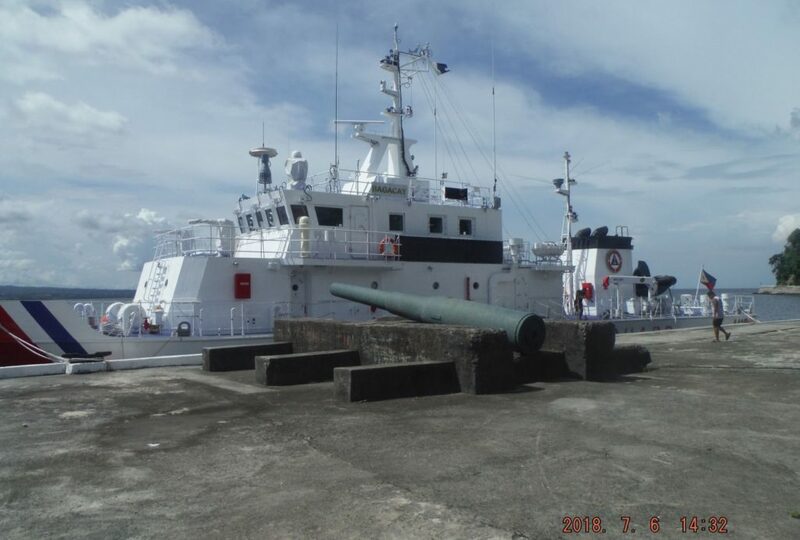 This organization, until recently, operated all 3 of their boats out off Corregidor but under the new CFI Management moved.